In 2019-20 academic year, local students enroll and being offered the subsidised places of this programme under the SSSDP will receive a subsidy up to $36,400. After deduction of the subsidy, the annual tuition fee is $20,600. The medical and health products sector is an integral part of the health services industry. 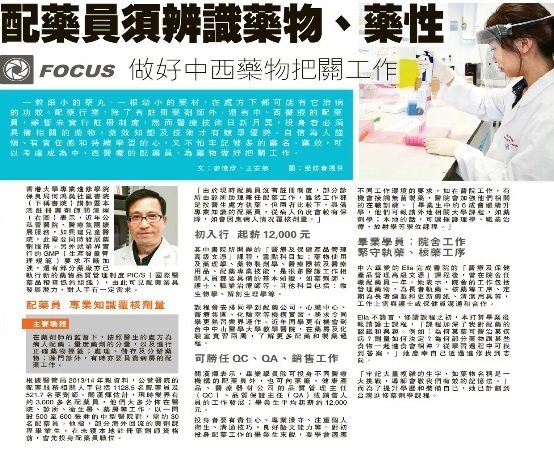 It encompasses a broad range of product areas including pharmaceuticals, natural health products, laboratory and scientific equipment, medical and diagnostic equipment, and health care products. These products are driven by technology and innovation, hence understanding them would require a good foundation of medical science as well as the technical background. The increasing demand for health care opens up employment opportunities for those who have the requisite knowledge of health product usage and technology, and the skills required by businesses in this sector. Graduates may join the private clinics and elderly homes to support pharmacists and physicians in providing pharmaceutical services to patients such as dispensing medicines and educating patients on how to take medicines properly. Graduates may apply for admission to Bachelor’s degree programmes in Pharmacy, Nursing, Occupational Therapy, Radiography, Science, Biomedical Science, Life Science, Biochemistry, Gerontology, Community Health Practice, Environmental & Occupational Safety and Health, Public Health, Health Education, Biology, Chemical and Biomolecular Engineering, Biomedical Engineering, Biotechnology, Testing and Certification, Food Science and Health Science disciplines offered by local universities (including HKU). Full-time, BSc Biomedical Sciences (2nd year of the 3-year) / BSc Pharmacology (2nd year of the 3-year ) / BSc Physiology (2nd year of the 3-year) / BSc Pharmacology and Physiology (2nd year of the 3-year) / BSc Anatomical Sciences (2nd year of the 3-year) / BSc Neuroscience (2nd year of the 3-year), University of Manchester (UK). 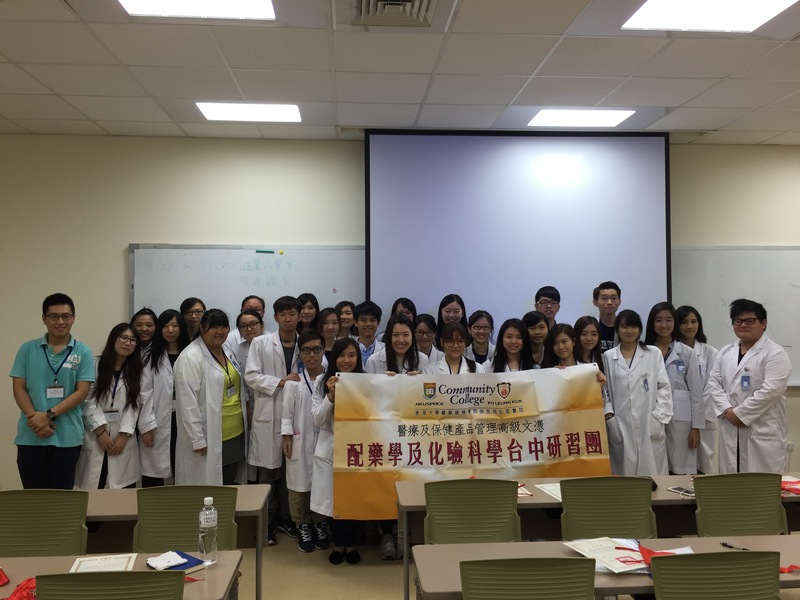 Valuable placement trainings at the Pharmacy Department and various sections of the Medical Laboratories of Taichung Chung Shan Medical University Hospital (Taiwan). Graduates who are engaged in drug dispensing services may apply for the membership of the Hong Kong Pharmacy Technicians Association (HKPTA). This programme provides a foundation for careers in marketing, sales and technical support functions in the medical and natural health products industry, as well as scientific and laboratory equipment businesses. Graduates may join the private clinics and elderly homes to support pharmacists and physicians in providing pharmaceutical services to patients such as dispensing medicines and educating patients on how to take medicines properly. To enhance the teaching and learning effectiveness of courses like those in the medical and pharmaceutical fields, it is very important to supplement classroom lectures with hands-on experience of the course materials. Virtual Reality (VR) is one good option to deal with this issue and in addition, it can also enhance the students’ interest in learning. 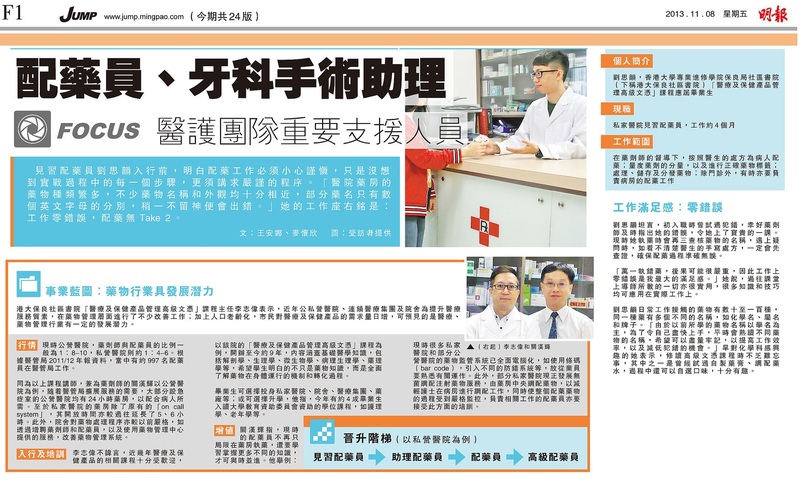 A VR video tour of a local hospital pharmacy showing to students how it is like when working in a hospital pharmacy in HK: important sections such as outpatient dispensing section, inpatient dispensing section and the steps involved in prescription processing/drug dispensing are included in the video. An interactive mode of the above video so that the students can choose the part of the pharmacy they want to see or learn more by manipulating the cursor. A cleanroom interactive video showing the basic design and the important parts of a cleanroom that is installed with a laminar flow hood for aseptic drug reconstitutions. An app for human anatomy showing the human skeleton; more human organs will be included in the near future. 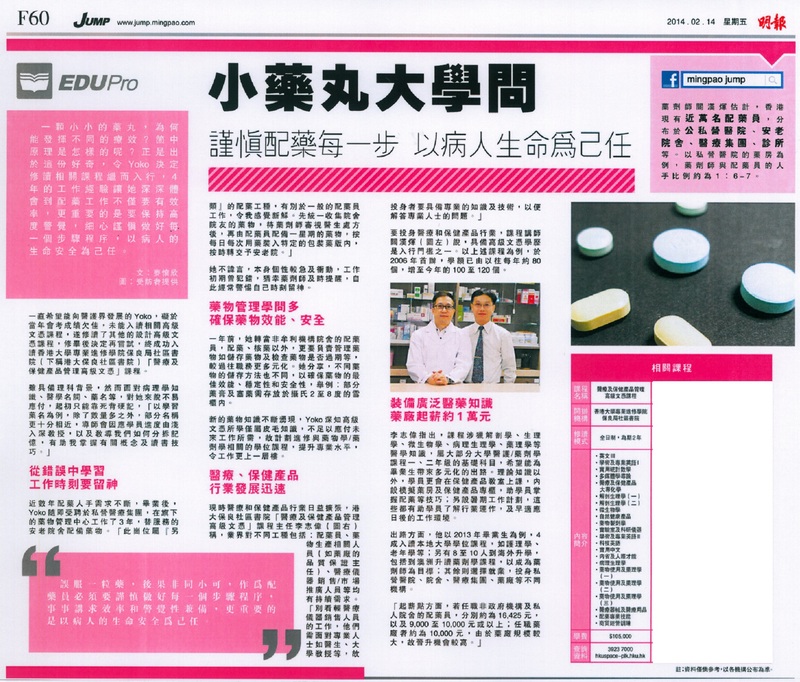 Applicants whose HKDSE results do not meet the entry requirements of the 2-year Higher Diploma Programme should apply for admission to the Diploma in Foundation Studies (DFS) programme (Medical and Health Products Management). I was extremely frustrated and puzzled when I received my DSE results because studying in university was just a pie in the sky. Fortunately, I enrolled in the Higher Diploma in Medical and Health Products Management at HPSHCC. This program is not only teaching academically, but also practically.